Diane Wang is the Founder and CEO of DHgate.com, the first transactional B2B e-commerce marketplace in China. 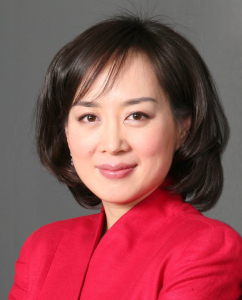 In 1999, Diane co-founded and served as CEO of Joyo.com, which became the largest B2C marketplace in China, and was acquired by Amazon in 2004, becoming Amazon China. Diane is Chair of the APEC Women Leadership Forum and at the 2016 APEC Summit in Lima, Peru, launched APEC WeConnect, an organization that aims to empower women to realize their entrepreneurial dreams through digitalization. Diane is also the Chinese representative to the G20 Business Summit (B20). The year is 2017, and it’s no secret that women are still fighting an uphill battle in their professional lives. In both the developed and developing world. The evidence is everywhere. 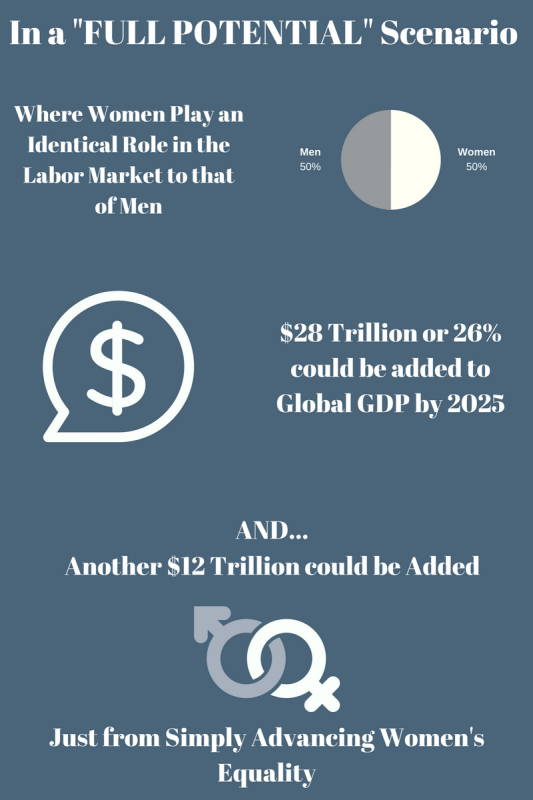 Aside from the obvious fact that these statistics indicate unfairness, the most important part of addressing gender inequality, is that it is actually beneficial for the economic prosperity of all mankind, women and men alike, to have equal representation of both genders in the labor force. This is because society loses the economic benefits and power of having a workforce with a higher overall productivity. However this situation is changing thanks to a beacon of light called the phenomenon of globalization through digitalization. This opportunity gives women the choice between braving the corporate pipeline, or making an income from the convenience of home. Digitalization has created a situation where practically anyone can achieve higher due to instant global connectivity, which finally puts women, especially women in developing countries on an even playing field with men. Women are leveraging digital platforms to succeed in many industries. 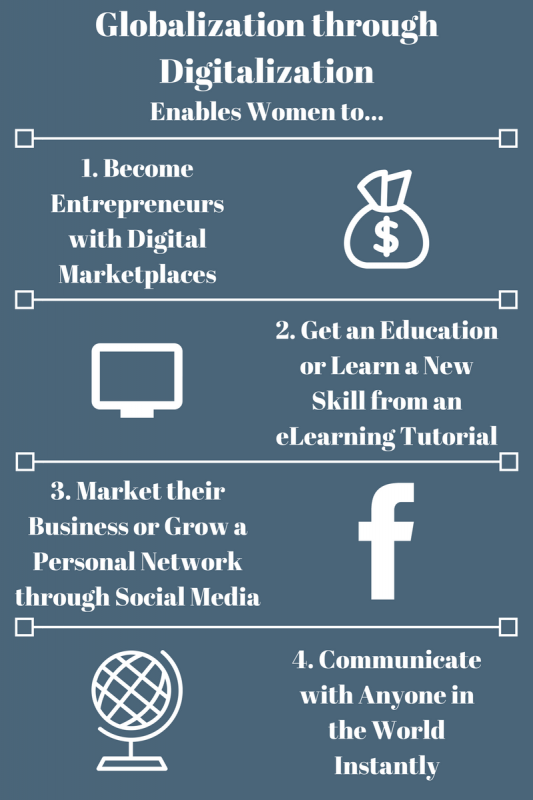 I have met many amazing women who were given the chance to realize their dreams thanks to digital marketplaces. Women use digital platforms to launch their own brands, profit from their business skills, become digital service providers, and even hotel operators. I would like to make a special mention of a woman I know named Fenfen Fang. After graduation, like most college graduates, Fenfen wanted to practice what she learned in real business. But as a young girl, with no money, no experience, and no social connections, she found it was very hard to survive in traditional businesses. So she found another way in, she opened an account on our digital platform, DHgate.com. 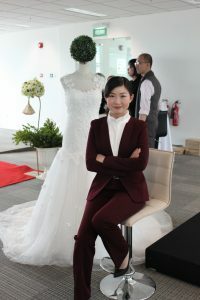 Five years later… she runs her own online wedding gown brand, Sarah Bridal! Employs over 100 designers all over the world to design for their clients. Fenfen was even invited to share her story at an APEC (Asia-Pacific Economic Cooperation) sanctioned meeting with hundreds of MSMEs (micro-small-and-medium sized enterprises) from Malaysia, the Philippines, Indonesia, and Brunei. Entering the global digital economy as a cross-border e-commerce seller gave her the ability to live her dream, support her family and enrich her life. Stories like these happen every day in China, and it can be your entrepreneurship story as well. Award women who boldly take the steps to execute their entrepreneurial plans.